An open crown is one which consists basically of a golden circlet elaborately worked and decorated with precious stones or enamels. ... The medieval French crown was of this type. ... the closed crown, which had bands of metal crossing usually from one side to the other and from back to front so that they met in the middle, at the top of the head. ... These arches are in part utilitarian, since they serve to strengthen the crown, in part decorative, since they are normally made to serve as supports for a central cross or jewel, and in part traditional, since a contributing element to the evolution of many medieval crowns was the structure of the early Germanic helmet, which had metal bands crossing at the top of the head to protect the skull from injury. 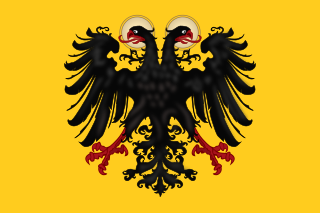 A special case of a closed crown was that of the Holy Roman Empire. This was originally an open crown, made up of eight separate richly jewelled sections incorporating four magnificent enamelled plaques, but the Emperor Conrad II (1024–39) had added to it a kind of jewelled crest, running from front to back, to which he had thoughtfully attached his name, CHVONRADVS DEI GRATIA ROMANORV(M) IMPERATOR AVG(VSTVS). This jewelled crest was so closely associated with the notion of the imperial office that when the Hapsburgs made a new imperial crown in the 15th century in which they incorporated two large cusps resembling a mitre seen sideways, they provided it with a similar crest running from front to back and topped with a central jewel. ... Strictly speaking, therefore, the only type of crown whose characteristics can properly be regarded as imperial was one with a single crest running from front to back. In practice, in countries unfamiliar with closed crowns at all, any kind of closed crown was assumed to be imperial in character. 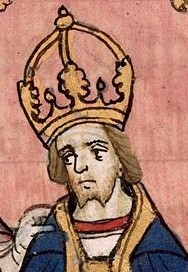 King of the Romans was a title used by Syagrius, then by the German king following his election by the princes from the time of Emperor Henry II (1014–1024) onward. The title was predominantly a claim to become Holy Roman Emperor and was dependent upon coronation by the Pope. 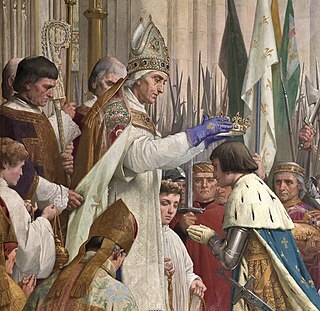 Henry VII was the King of Germany from 1308 and Holy Roman Emperor from 1312. He was the first emperor of the House of Luxembourg. During his brief career he reinvigorated the imperial cause in Italy, which was racked with the partisan struggles between the divided Guelf and Ghibelline factions, and inspired the praise of Dino Compagni and Dante Alighieri. He was the first emperor since the death of Frederick II in 1250, ending the great interregnum of the Holy Roman Empire; however, his premature death threatened to undo his life's work. 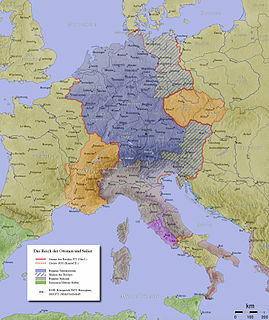 His son, John of Bohemia, failed to be elected as his successor, and there was briefly another anti-king, Frederick the Fair contesting the rule of Louis IV.